After over a decade of being asked, we are proud to announce that Auto Assembly is bringing you it’s FIRST EVER exclusive toy for our convention this year! Thanks to our friends at Sensible Collectibles, we have a brand new convention exclusive toy – Robot Manuel X! The toy stands at approximately 5″ tall so it is comparable to most deluxe size toys and is being manufactured by the third party company Mech Ideas and is a repaint of the critically-acclaimed Demolition Crue Apex toy. Supplies of this toy will be extremely limited and will be available on a first come, first served basis and to ensure that as many of our attendees are able to get this toy, they will be limited to a maximum of ONE per person. To secure YOURS, use this form to pre-order the toy and then bring along the order confirmation that will be emailed to you to the convention, take it to Sensible Collectibles table in the Dealers Room and they will hand you the toy! The toy is just £45 (but all pre-orders are subject to a 5% PayPal handling fee) making the total £47.25. When placing your order you MUST provide your Auto Assembly 2013 ticket number or we will not be able to process the order. If you have not already booked for the convention, tickets are still available and they can be purchased from the Auto Assembly 2013 Bookings Page. Please note that as this is a third party toy, our normal restrictions for the sale of third party products apply so they can not be supplied to anyone under the age of 18. If you are unable to attend the convention, they will be available as part of our Auto Assembly 2013 Non-Attendee Pack which will be made available through the website shortly which will include the toy, one of our exclusive t-shirts plus other mystery items which will be announced in the near future. Any supplies of the toy remaining after pre-orders and Non-Attendee Pack orders close may be available at the convention while stock lasts. 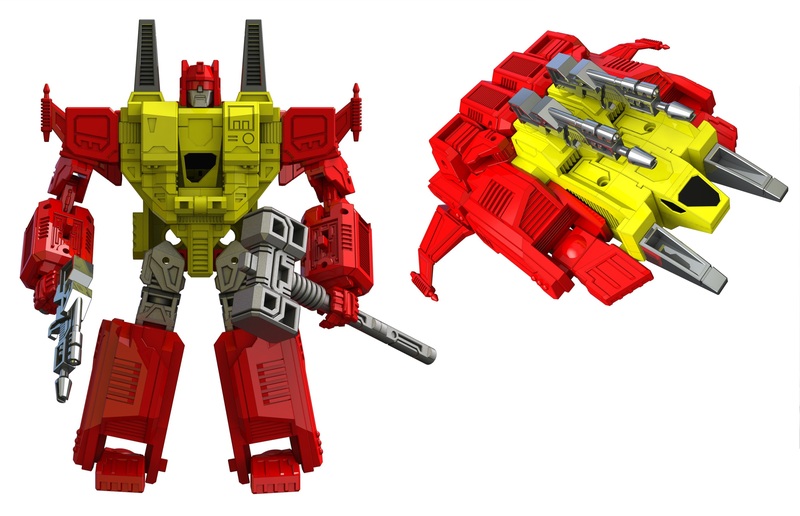 This toy is one of a two-part set and his “spark-mate” will be made available at another Transformers Convention this Summer which will be announced at a later date. Anyway, to order, just enter your name and ticket number in the boxes below and then add it to your shopping cart (this will open up in a new window). You can only order ONE toy per person but if you have booked multiple tickets then you can order more than one toy as long as each person you are ordering a toy for is 18 or over and you provide the details for each person. Please add each toy order to your cart separately as we need to know the names and ticket numbers for each attendee so we can prepare the sales receipts for them properly. If you don’t do this, it will delay the processing of your orders as we will need to get back in touch with you for this information and you may miss out on getting the toy. Once you have placed all of your toys into the shopping cart, go to the checkout to pay! Please note that Auto Assembly does not store any of your personal details online, nor do we have access to any of your credit or debit card details during the ordering process. WHAT HAPPENS ONCE YOU HAVE ORDERED? We’re sure that once you’ve made your order you want to know what happens next! Well, if you don’t know, Auto Assembly is run on a non-profit making basis by Infinite Frontiers, a science fiction fan organisation founded by Simon Plumbe in 1989. Auto Assembly is organised by a small team in our spare time (see elsewhere on this site for more information about us) so as you can understand, this means that our time can be stretched with running the convention, work and family life. For the bookings side of things are processed by committee head Simon Plumbe and his wife Trish. Anyway, back to the orders and once this comes in we will check to ensure that you have already registered for the convention. If not, we will contact you asking you to book for the convention. If this is not done within 7 days then your toy order will be cancelled and your money refunded in full. Otherwise, your order will be processed a receipt will be issued and your order details will be passed onto Sensible Collectibles who will ensure that your toy is available for collection from the convention. Should you attempt to order too many toys or if you order for attendees who are too young to purchase them, then these will be refunded immediately. All orders for Robot Manuel X are final. Should there be any manufacturing problems with the toy or issues, Sensible Collectibles will make every endeavour to resolve these as quickly as possible to ensure prompt delivery of the toys for collection at the convention. Please note that this toy is no longer available to order from Auto Assembly.